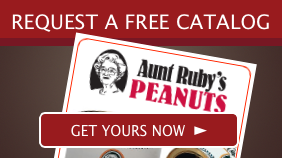 Since 1945, Aunt Ruby's Peanuts has offered the finest nuts and chocolate covered nuts at affordable prices. What could be better than chocolate with nuts? 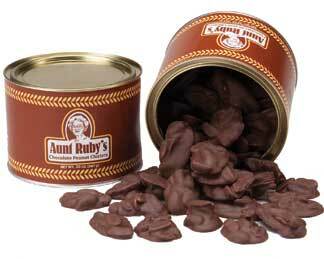 Just chocolate and nuts at great prices. 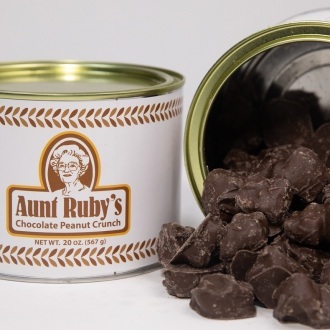 Aunt Ruby's Peanuts offers a large selection of chocolate and nuts or just peanut products. Nuts make a perfect snack that are also a good source of protein. We sell cashews, peanuts, pistachio, almonds. 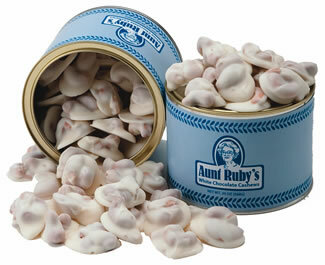 Stock up on a variety of our outstanding nuts or chocolate and nut selections.